Yesterday BMW revealed their Motorrad VISION NEXT 100 concept, their vision of what a motorcycle might be 100 years from now. But what will motorcycling in general be like in the 22nd century? 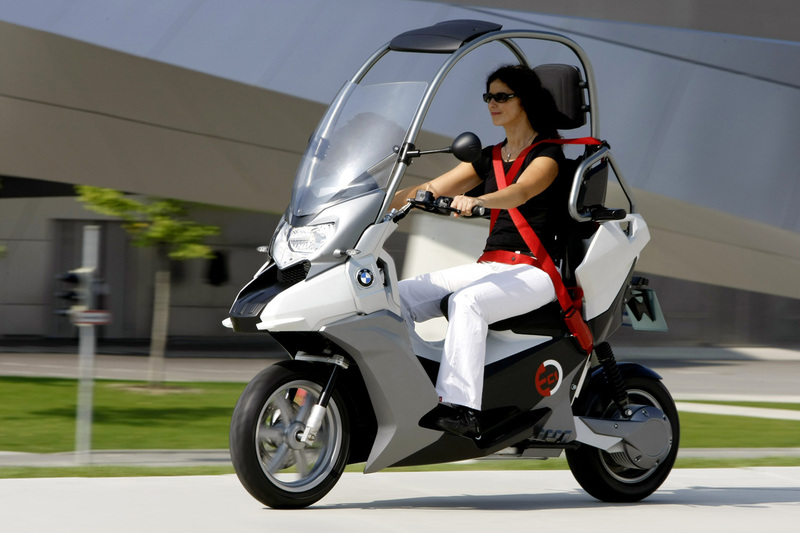 For specifics on BMW’s future bike, go read the article about it on Lanesplitter. No need to reinvent the wheel, even though BMW literally did for this bike. Andrew P. Collins goes over the major features and gives his opinions on how feasible they are for future production, most of which I agree with. But I want to look at this subject at a higher level – not specifically at BMW’s concept (though it is a good starting point), but how bikes will fit into society, what roles they might play, and what the motorcycling scene in 100 years would be like. As society slowly but surely moves toward welcoming our autonomous four wheeled overlords, there’s the question of how bikes will fit into this autonomous future. Will they, too, benefit from the features that motoring autonomy will make commonplace? Or will they be our final stand against the machines, where humans and humans alone are in control without electronic nannies coddling our every move? I think the answer is both. Racers already apply the latest and greatest technology to improve the performance of their bikes. Modern 600cc sportbikes make more power than the liter bikes of not too long ago. 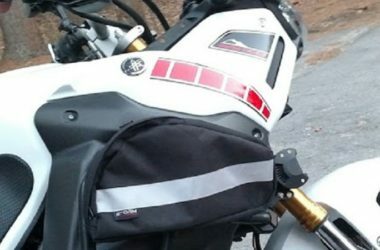 Motorcycles have been slow to adapt electronic aids, but anti-lock brakes and the aids that come with it, like traction, stability, and launch control, can be applied to motorcycle applications. 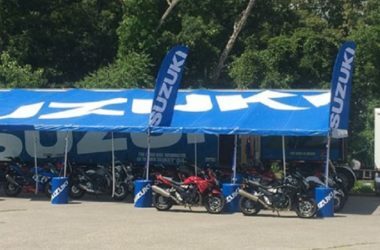 In the end, I think sportbikes will continue to embrace technology to push the performance envelope as far as they can. We may see 300mph sportbikes by 2116. But at the same time, there’s a huge retro appeal for motorcycles as well. Look at the massive success of Harley-Davidson. Most of their bikes don’t look much different than what they made in the 1950s. Many would joke that the technology isn’t much different either, but that simply isn’t true. Fuel injection has been available as an option on some of their bikes since 1996, while many bikes made today are still carbureted. I appreciated not having to fiddle with a choke on the Street Glide I rented in Florida one cold morning. And their new Milwaukee Eight motor is a thoroughly modern design despite its retro appearance. Aside from Harley, Indian has returned, Victory has appeared, and the Japanese have been imitating big American cruisers for years. Harley even sued some of the Japanese manufacturers over their bikes resembling Harleys too much, one of which was my very own Honda Shadow ACE 1100. 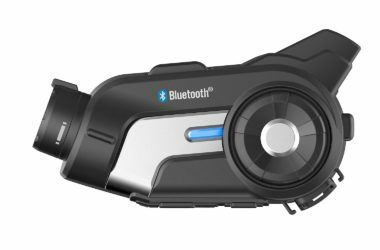 Even BMW is getting in on the big cruiser game, which seems antithetical to the high tech performance machines that BMW is all about. The bottom line is that cruisers are extremely popular and are here to stay. 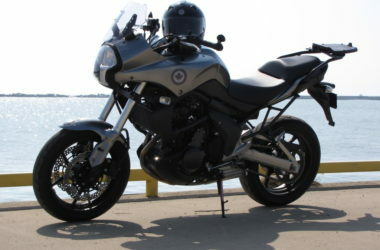 Designs will evolve slightly, like the V-Rod did, but remain quite similar to the cruisers we ride today. I don’t think riders will have to make a choice between futuristic or retro bikes. Both will be widely available. Those who prefer the latest and greatest technology can have it, while others can keep riding old style bikes with subtle, incremental technology additions that add to, rather than diminish, the more raw experience. What will bikes even run on in 100 years? Gas? Batteries? The blood of our vanquished enemies? Who knows. But I think electric bikes are the way to go as gasoline gets more scarce. It can be generated from numerous energy sources. Storage and range have always been the biggest issues with electric vehicles, but many auto manufacturers are starting big pushes into electric car technology that can carry over to bikes. In another 100 years range anxiety will be a thing of the past, between improvements in the size and shape of batteries and the implementation of a standardized recharging infrastructure. Modern electric cars are already nudging the 200 mile range mark. In another 100 years recharging should be as fast and easy as refueling your bike with gas is today. An added bonus of the switch to electric motors is their enormous powerband. You’ll need some form of launch control, because maximum torque is available immediately from a dead stop rather than a narrow RPM range. In fact, the Arcimoto SRK already limits power from the maximum its motors can handle for exactly this reason. Gears may even become a relic of the past, as electric motors may handle a wide enough RPM range to make them unnecessary. Electric bikes are already tearing up the Isle of Man TT Zero. The class record time, set last year by John McGuinness, is 18:58.743, an average speed of 119.279mph around the 37.733 mile circuit. That’s ten seconds quicker than his 250cc record set in 1999, and just fifteen seconds off the SuperTwin record that James Hillier set last year on a Kawasaki 650. These electric racing bikes are serious business, with serious lap times by serious riders to prove it. Unfortunately, the sounds our modern gas motors make will fade away into history at the expense of the electric whir. 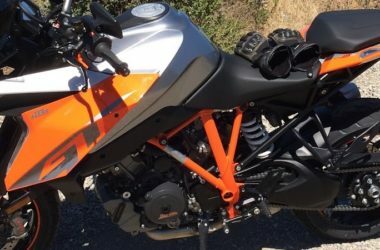 Whether you prefer the scream of a sportbike or the lope of a V-twin, electric motors are quiet, which will certainly annoy the “loud pipes save lives” crowd. Google made an April Fool’s joke video about their new self-driving bicycle, but other videos demonstrate that the technology to keep a bicycle from falling over already exists. 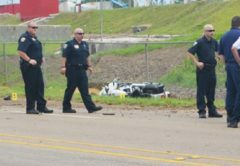 Given 100 years to refine it, I see no reason why motorcycles couldn’t incorporate similar technology to help the rider control the bike, prevent crashes, and even eliminate the traditional kickstand. I’d still want to have a wheel stand for working on the bike while it’s powered down and not supporting itself. Like it or not, autonomous cars are coming. Even if they’ll have to pry your steering wheel from your cold dead hands, the technology of autonomous cars can provide advantages to non-autonomous motorcycles. BMW’s concept includes a heads-up display integrated into a pair of riding goggles. This isn’t far fetched at all. The technology is basically there today. It could be standard equipment in 100 years, and even eliminate the traditional gauges and warning lights as BMW predicts. It’ll be just like Iron Man. But it gets even better. Some modern cars already use a variety of cameras and sensors for their semi-autonomous functions, like adaptive cruise control and staying in their own lane better than their human drivers seem able to. 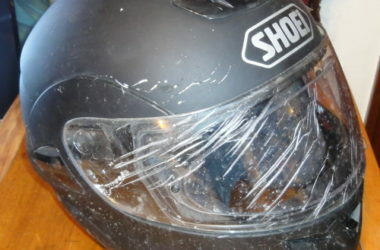 Rather than control the bike for you, this information can be sent to your heads-up display, warning you if someone is in your blind spot or if traffic ahead is suddenly stopping. 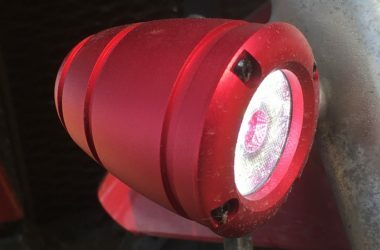 Infrared cameras can display heat sources in the dark, making that pedestrian wearing black at night light up like a Christmas tree on your display. I have absolutely no issue with having these sensors and making as much information available to the rider as possible – as long as the rider remains in full control and able to make their own decisions based on that data. That’s what riding is all about. 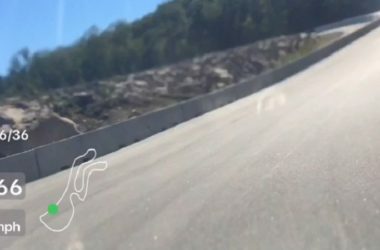 One of BMW’s claims with their future concept is that the electronic safety systems will be so good that traditional riding gear and even helmets will be unnecessary. Indeed, we’ve seen this attitude before with the BMW C1. Between the seat belts and roll cage, BMW claimed that helmets weren’t necessary with the C1. Only a few governments agreed. 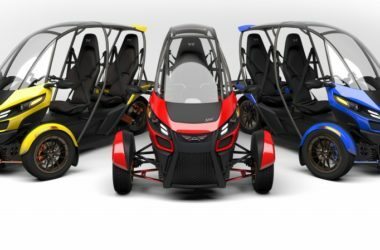 (Arcimoto uses a very similar roll cage and dual seat belt system as the C1, but makes no claim to fall into the autocycle category that Elio has pioneered that wouldn’t require helmets or motorcycle licenses.) 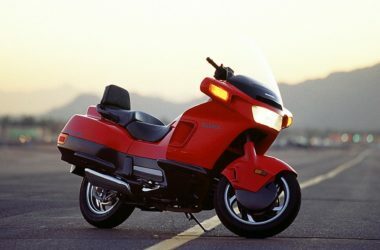 Like Honda’s motorcycle for people who don’t ride motorcycles, the PC800, the BMW C1 didn’t sell well and was soon discontinued. 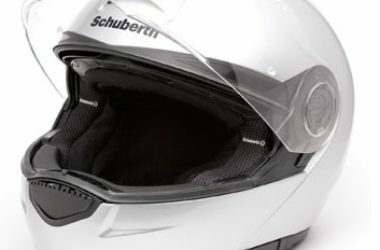 Despite BMW’s claims, I believe there is no way that helmets and safety gear can be eliminated from motorcycling without eliminating the protection they provide. Assume that bikes in 100 years really can stop and swerve and avoid collisions all by themselves, contrary to my personal desires. So there you are, riding along enjoying a quiet back road away from traffic, with the wind in your hair and the sound of nothing but the wind and the whirring of your electric motor. Suddenly, a deer pops out of the woods, previously invisible to you. 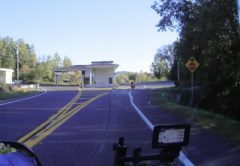 Your infrared camera registered its presence and location long before you could see it and relayed them to your heads-up display, but couldn’t predict that it would suddenly jump into the middle of the road directly in front of you. The bike calculates its options faster than the blink of an eye. Swerving in either direction won’t avoid the deer if it randomly jumps in that direction, but with excellent brakes and ultra grippy tires it can stop before impact, so that’s exactly what the bike does. Unfortunately, you, as the rider, weren’t expecting this. As a great philosopher once said, “Captain, ye canna change the laws of physics.” The bike stops, but you keep going, tumbling over the handlebars at 60mph. The bike comes to a safe stop and gyroscopically balances on two wheels, escaping without a scratch. But you sustain much worse damage than the deer after literally flying off the outside of the turn and smacking solid objects with no protection whatsoever. Your ride is over – permanently. Consider the state of safety gear 100 years ago, and what’s available today. 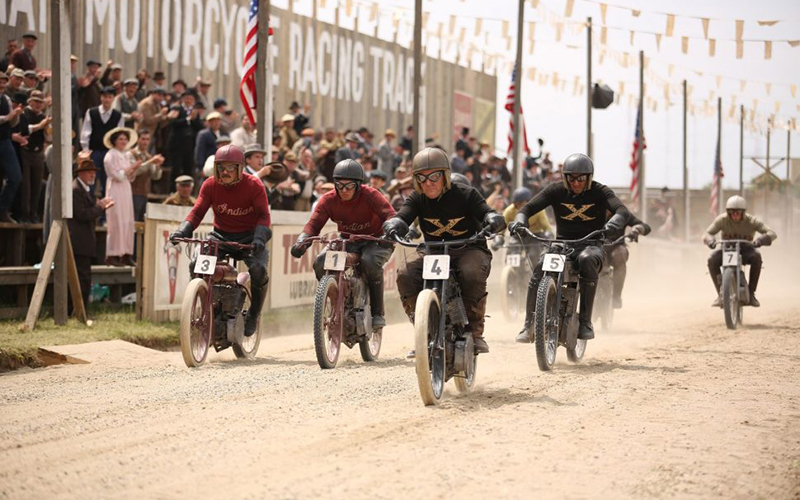 Harley and the Davidsons showed us the early days of motorcycle racing. The gear they wore then was practically useless, and fatalities were common. Today, gear can allow us to walk away with a few bruises after a crash that otherwise would’ve killed us, like the situation I just described. Those who don’t like wearing helmets and gear complain that they’re too heavy, too bulky, and too hot. In 100 years, these issues can be worked out. We could have riding gear that’s even more protective than what we have today, but feels almost like we’re not wearing gear at all. Hopefully more people will be willing to wear it by then. Who cares??? The beauty of science fiction is that the ideas it generates inspire tomorrow’s science fact. Jules Verne wrote about going to the moon 104 years before we got there, and he got many details right. Star Trek communicators led to flip-phones, which are so five minutes ago now. But Richard Hammond made a good point in his review of the Morgan Aero 8 that predictors in the past are doing so from the point of view of their own time. Futurists of the 1930s may have gotten a lot of things right, “but the aeroplanes are biplanes, and the robots are rubbish.” No doubt some of my predictions will end up being “rubbish” as well. One small consolation is that in 100 years I probably won’t be around for people to tell me “your an idiot” – a phrase that will, much to my editorial dismay, probably be accepted as grammatically correct by then.